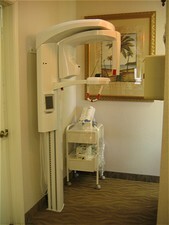 Digital Panorex A digital panorex x-ray provides a full view of upper and lower jaw, teeth, and temporomandibular joint. It can show impacted teeth. Often use to check for wisdom teeth.